While the whole world is talking about Fortnite, there's another pretty popular cross-platform game out there called Minecraft [$6.99], and it's a game that continues to grow even after all these years. Minecraft, as you probably know if you follow the game's development, is getting a huge update called Update Aquatic (the echoes of Life Aquatic are not accidental). And for once, Android players get all the luck since they can jump into the Update Aquatic Beta and check out all the new features. iOS players, we get to sit this one out unfortunately, as is always the case with Minecraft Betas. If you want to get into the Beta, you should head this way and follow the pretty simple guide provided. It really is a pretty simple procedure, so if you do want to experience the fun before everyone else, you can do so with barely any trouble. Just remember to back up your worlds, just in case. Why would you want to, well, take a dive into Update Aquatic? Let's start off by saying that this update will add something to the game I've wanted to see ever since the early days of the PC version beta: breathe life into the huge oceans that cover most of the game's maps. The oceans will now have a lot more plant life, with things like Seagrass, Corals, and Kelp rescuing us from the endless monotony of sandy ocean floors. These new materials will give builders more to play with but also make buildings by the beach—or even underwater—look like they belong. We will also encounter bubble columns, which will change the buoyancy of anything floating above it. Initially the developers considered making the bubbles push things to the surface, but then they decided that it's actually more fun to pull you down (even though there's also the pushing up version but is more of an Easter Egg). I can't wait to see the crazy ways the community will use these bubbles and all the contraptions that will come of them. 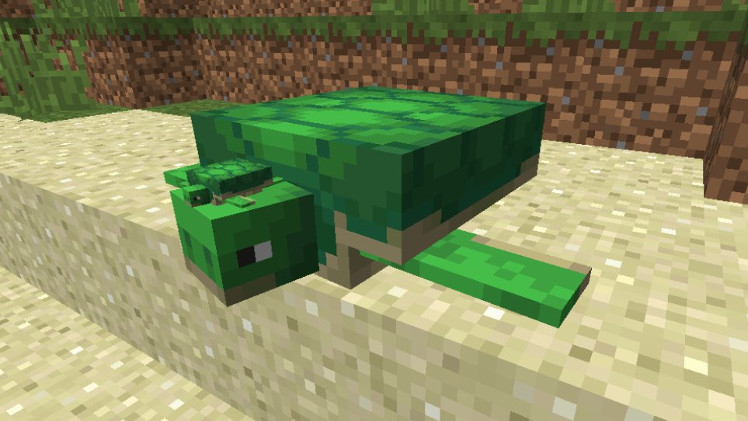 We are also getting sea turtles, a mob that has been redesigned since it was originally announced. They are now much bigger and more complex. They have a beach home, which they will always return to no matter how far they swim away. Baby turtles will also remember where they were when they hatched, so we'll be able to use them as homing beacons by having them hatch at locations we want to return to. But keep in mind that some mobs will attack the baby turtles, and I hope you're not inhuman enough to let them die. In addition to turtles, we are getting the Drowned, a new mob that will haunt your oceans as well as river and swamp biomes. They will often come from drowned zombies and can even carry a trident, which they'll use to attack from afar. Dolphins will also join the fun as will a ton of fish mobs, the latter being perfect for that aquarium you always wanted to build. 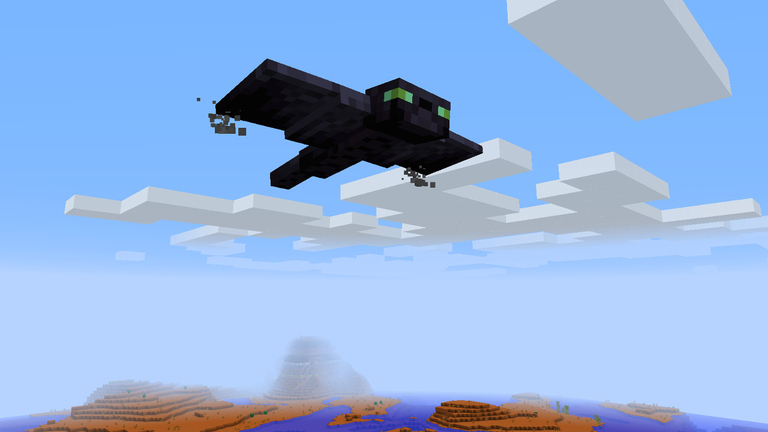 And we are getting the Phantom, the flying mob players voted for during the last MineCon; make sure you get some good rest because this mob will attack those who stay awake for too long. Update Aquatic is also adding icebergs, underwater ruins, shipwrecks, underwater caves and ravines, and much more, all of which should make exploring the ocean worth the time. And we are getting the Trident too, a weapon perfect for jousting underwater. It comes with some fun enchantments that can make it return to your hand after throwing or even drag you along as you toss it. Finally, the update will also add a few smaller touches that will make living underwater easier, including new swimming animations, faster underwater movement, and a tweaked light level so players can see slightly further. As you can tell, Update Aquatic will open up great possibilities for building and living underwater, and I'm actually quite excited to get my hands on it. As is always the case, we don't yet have an official release date, but with the Android beta going live, full release shouldn't be too far out.